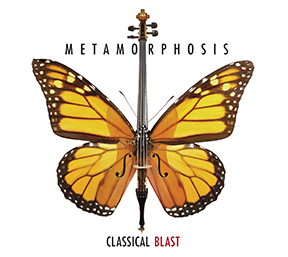 Welcome to the NEW Classical Blast! We are so excited to introduce our new string section! Say hello to these world class musicians:Violinist, actor and composer, Greg Hirte is well known in the Chicago theatrical community. He recently performed in Lookingglass Theater’s hit production of “Steadfast Tin Solder." Other theatre credits include: 19 seasons with Goodman Theatre’s "A Christmas Carol;” roles of Luther in "Ring of Fire: The Music of Johnny Cash," and Leon in "Hank Williams: Lost Highway" (American Blues Theater). Greg has performed and composed music for Goodman Theatre, Chicago Shakespeare Theater, Court Theatre, Drury Lane Theatre, Victory Gardens Theater and Piven Theatre Workshop, as well as several international music festivals. He has also performed with bands, Mucca Pazza, The Flashbulb, Gin Palace Jesters, Can.Ky.Ree, and Mojo & The Bayou Gypsies. Cellist Kelsee Vandervall has been playing cello for 19 years. A Columbia College grad, she received a dual Masters in Cello Performance & Chamber Music from the University of Michigan. She was awarded a Fellowship with the New Haven Symphony in Massachusets. Kelsee has performed with Grammy award winner Paula Cole, Todd Rundgren, smooth jazz artist Brian Culbertson, gypsy jazz guitarist Samuel Strouk, Charlie Sexton, and with groups like the River Raisin Ragtime Revue and Glad Rags. She has recorded with singer/songwriter Yoshi Breen, on John Legend’s “Legendary Christmas” album and episodes of FOX TV's “Empire." Kelsee spent part of 2018 touring with renowned hip-hop artist J Cole. She performs on acoustic and 5-string electric cello. Violinist, Scott Daniel has been playing since he was 4 years old. Originally from Oak Park, he was assistant concert master for the Berkshire Symphony. Scott is currently in the Masters Program at DePaul after graduating from Williams College in Massachusets. He has performed at music festivals in Vienna and Quebec, as well as the U.S. He has also performed with a number of jazz and rock groups in Chicago. He's a violin monster on electric violin! Check our SHOWS page for upcoming dates! Join Our Fan Mailing List! 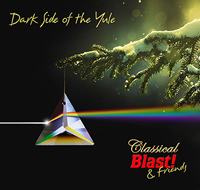 Buy all three Classical Blast CDs and save. Sorry, U.S. sales of CD only. Digital downloads are available in most countries via Amazon, I-Tunes and other outlets.